This guide is written by Skullflower, a main raider in Midwinter obsessed with Death Knights. He maintains the Frost and Unholy guides and owns/operates SummonStone.com. Skullflower has been soul reaping since Wrath of the Lich King launched, and began playing the game in early 2005. Frost is a fast-paced spec that can be played using a 2-hander or two 1-handers, with both having very different rotations, playstyles, and stat priorities. In comparison to Unholy, the rotation has a lot more randomness to it due to the nature of Rime and Killing Machine procs. Combined with that, is a faster-paced rotation, as you are constantly making split-second decisions based on the Frost priority system. Throughout a fight you will juggle both your runes and runic power resource for maximum damage output, prioritizing Obliterate usage with 2h and Howling Blast usage with DW. The two rotations also differ in that 2h uses Obliterate to react to KM procs whereas DW prioritizes Frost Strike. DW Frost is competitive and viable as is Unholy in Hellfire Citadel, with 2h Frost no longer being viable. Once Unholy acquires Reaper’s Harvest, it will be stronger for AoE when and if NP is allowed to tick on a high number of targets for a decent amount of time. However, DW Frost’s superiority for single target and priority target DPS makes up for that fact that it’s slightly behind in AoE. Whether you should play Unholy or DWF will largely depend on the type of encounter. For example, an encounter like Kormrok would be best for DWF because the Grasping Hands calls for burst AoE damage (at which DWF excels at) and is primarily single target. Whereas an encounter like Xhul’horac would be superior for Unholy because the adds are all spread throughout the room, allowing Necrotic Plague to tick for a long duration on a high amount of targets. – Removed out-dated sims. I don’t have time to run them right now during Mythic progression, sorry. The Death Knight has Unholy, Frost, and Blood runes by default, with one pair of each type for a total of six runes. Our abilities cost one or more runes of certain types (other abilities cost Runic Power instead, explained below). As Frost, both your Blood runes are permanently converted to Death runes. Death runes count as any type of rune, meaning they can be used in place of Blood, Unholy or Frost runes. Frost DKs have two Unholy, two Frost, and two Death runes. Runes that have just been used will take a few seconds to recharge, until they can be used again. How fast your runes recharge is influenced by your current haste. Only one rune of each type may recharge at the same time. For example, if you have just used both your Frost runes, they will be recharging one after the other, and not simultaneously. A Death rune counts as the type of rune that it replaced. Death runes are referred to as the rune space that they occupy, such as Unholy-Death, Frost-Death, or Blood-Death, and more than one Death rune can be recharging at the same type if they are of different rune types. In practice you will pool your runes (i.e. hold onto them, but not let them overcap) and spend them on abilities when needed. The Killing Machine proc, for example, empowers your Obliterate ability, so you can pool one Unholy and one Frost rune in preparation for those procs. Sometimes you will want to exhaust all your runes quickly, for example while under the effect of trinket procs that increase your overall damage. This will create some downtime afterwards, when your runes will be recharging. During that time, you will want to use abilities that require Runic Power. We can hold up to a maximum of 100 runic power; any RP that you generate beyond that limit is wasted. Ideally you should spend your RP ahead of time to avoid overcapping, but in some situations (e.g. while under the effects of Heroism) you cannot avoid to cap your RP. RP is used to cast Frost Strike or Breath of Sindragosa which in turn procs Rune-regenerating talents such as Runic Corruption, Blood Tap, and Runic Empowerment. Like Runes, RP can be “pooled”, meaning you can hold onto it for later use. As 2h Frost, this is useful when trying to maximize Killing Machine procs by consuming it with Obliterate rather than Frost Strike. Because Killing Machine procs off of autoattacks, you should weave in your Frost Strikes in-between autoattack swings as to not waste any procs. This passive plays a significant role in Frost’s rotation. KM has a 6 PPM (procs per minute) chance on successful autoattack hits to proc and a separate chance to proc via off-hand hits for dual-wielders, guarantying the next Obliterate or Frost Strike to critical strike. For 2h Frost, you’ll want to pair this with Obliterate. For DW Frost, you’ll want to pair this with Frost Strike. MotFW is essentially a tuning knob for Frost in that it attempts to balance 2h and DW damage by special-casing the amount of damage Frost’s abilities deal while using a 2-hander or 1-handers. Switching weapons mid-combat will place an ICD on this passive, discouraging scenarios where we used to switch weapon types between ST and AoE situations. A melee strike that deals physical damage based on weapon damage. OBL costs 1 Unholy and 1 Frost rune and has a chance to proc Freezing Fog, making your next Howling Blast free but generating no runic power. A ranged spell ability that deals frost damage to all enemies within 10 yards, infecting them with Frost Fever. This ability costs 1 Frost rune and deals damage based on attack power and mastery. A melee strike ability that deals frost damage based on weapon damage and mastery. FS costs 40 runic power. A ranged ability that deals damage to all targets around you within 10 yards or 15 yards with Glyph of Blood Boil. Blood Boil costs a Blood rune and converts all runes spent on this ability into Death runes. While also dealing damage, this ability spreads the diseases on your target to all enemies within range. While using Necrotic Plague, it will extend the longest duration NP active on a nearby target. For Frost, this isn’t our main AoE ability of choice, but it has its uses in disease spreading. A cost-free 1-minute cooldown ability that applies both Blood Plague and Frost Fever, or 1 stack of Necrotic Plague. A melee strike that costs 1 Unholy rune and deals physical damage based on weapon damage, infecting the target with Blood Plague or 1 stack of Necrotic Plague. A ranged spell ability that deals frost damage based on attack power, infecting them with Frost Fever or 1 stack of Necrotic Plague. This does not have much use at all for Frost because Howling Blast already applies Frost Fever, and Outbreak can apply it too. The only use this ability has is with Glyph of Icy Touch for enemy dispels. A ranged target reticle spell ability that deals shadow damage to all enemies standing in it based on attack power and mastery. DnD lasts for 10 seconds and deals a tick of damage each second. This is used whenever 2 or more targets will stand in its ground effect for a majority of its ticks. A melee strike ability that costs 1 Frost rune, initially dealing physical damage based on weapon damage and inflicts the target with a debuff that expires after 5 seconds. If the target is below 35% health when that debuff expires, it will trigger an effect that deals shadowfrost damage based on attack power and mastery. If the target dies before the debuff expires, you will gain 50% haste for 5 seconds as a consolation prize. A 1 minute cost-free cooldown that increases strength by 15% for 20 seconds. This ability also grants knockback immunity. A 5 minute cooldown the immediately recharges all of our runes and generates 25 runic power. Best used when all runes are exhausted and runic power is low. This ability inflicts your target with a debuff that copies the next mana-costing ability that they cast. When an ability is copied, the button and tooltip will transform into the copied spell, allowing a one-time use of this ability. As of late, this has had no uses for PvE but has had some great uses in the past. Absorbs 75% spell damage taken for 5 seconds until the buff expires or damage exceeds 40% of your health. AMS also returns 2 runic power for every percent of health absorbed, up to 80 runic power per use. Glyph of Regenerative Magic reduces the cooldown on AMS if the buff expires after it’s full duration (i.e. spell damage doesn’t exceed 40% health). Glyph of Absorb Magic increases the absorption limit up to 80% of the player’s health (from 40%). Glyph of Anti-Magic Shell increases the spell damage absorb to 100%- not particularly useful because the absorption limit is still the same. A cost-free 20% damage reduction to all damage taken for 8 seconds. Best used right before taking significant amounts of unavoidable damage. Glyph of Icebound Fortitude reduces the cooldown in half but reduces the duration to 4 seconds, making it a useful option when taking frequent short bursts of damage. While Frost/Unholy Presence is superior in the case of DPS, there are situations that can benefit from switching to Blood Presence for a brief amount of time. This is for the increased stamina, armor, and damage mitigation to survive significant bursts of damage. While we don’t use Death Strike in our rotation, certain situations may call for its healing capabilities in order to survive. Moreover, we gain Dark Succor whenever we kill an enemy in Unholy presence, granting us free Death Strikes and an increased heal. This is our interrupt ability. Short and simple, use this to interrupt spellcasting. Similar to Mind Freeze, we can also interrupt with this spell or silence. This ability costs 1 Blood rune however. This is our battle resurrection ability. Best used with Glyph of Raise Ally to make it cost-free. Pulls your target directly in front of you. If you do not have Glyph of Tranquil Grip, it will taunt the target as well. • DW Frost uses Frost Presence and should utilize Plague Leech with either Defile or Necrotic Plague for single target and AoE. • Whether you should use DeF or NP depends entirely on how consistent your Defile damage is. If you are not getting a majority of its ticks with every use (i.e. due to mob movement), NP is the better talent choice. • For your main-hand runeforge use Rune of the Fallen Crusader and for the off-hand weapon enchant use Rune of Razorice. • Soul Reaper only procs main-hand weapon enchants so using RotFC on your MH gives it a slightly higher uptime (and more DPS) during execute phases and in AoE. • DW Frost uses Mastery food, enchants, and gems for both ST and AoE. 1) Use Pillar of Frost off cooldown. 2) Plague Leech when 2 runes are fully exhausted and Killing Machine is not active. If Killing Machine is active, prioritize Plague Leech ONLY when diseases are within a few seconds of expiring (1-2s). 3) Save Runes or Blood Charge so that Soul Reaper is used off cooldown while in execute range (less than 35%). Soul Reaper is only used for 1 to 2 targets; when 3 or more targets are present, the damage that Howling Blast does is superior. Because the bonus damage from SR is activated when the target reaches a health % threshold, you can time your spell cast so that the the bonus damage triggers just as the target reaches that threshold. In most cases, you’d use SR around 36-37%, but if the target does not have a lot of health and/or is being focused down, you can cast Soul Reaper earlier. 5) When using Defile, use it off cooldown when the target will take a majority of its ticks. This is prioritized above Killing Machine proc usage. 6) When using Breath of Sindragosa, pool at least 75 Runic Power before activating it. In current 6.2 tuning, it is not worth using this talent as Frost Strike’s damage, combined with T18 bonuses make it more valuable than BoS ticks. 7) Obliterate once when Unholy runes are capped (Capped = 2 Unholy runes sitting there, Uncapped = 1 Unholy rune is recharging), or if you have no Runic Power to exhaust a Killing Machine proc. 8) Pair Killing Machine procs with Frost Strike and exhaust your runic power whenever it is above 88. If you have Tier 18 2p and 4p, pool your Runic Power in preparation for Killing Machine procs, but do not let your Runic Power overcap. 9) Keep Blood Plague ticking on the target by alternating between Outbreak and Plague Strike. If using Necrotic Plague, Plague Strike is removed from the rotation completely as Howling Blast easily maintains the dot. If you have GCDs to spare, Outbreak can be thrown into the rotation to add a stack to NP. 10) Use Howling Blast on Frost/Death runes and when Rime procs. 11) Frost Strike KM proc> Obliterate KM Proc > Exhausting Unholy runes when capped with Obliterate > Exhausting Rime proc with Howling Blast >Exhausting Frost/Death runes when capped with Howling blast > Exhausting blood charges > Exhausting Runic Power. 12) Use Empower Rune Weapon when you have GCDs to fill and/or resources will not overcap. 13) Never use Army of the Dead when you are able to attack a target. Always use it 6 seconds before a boss is engaged or you have absolutely nothing to attack. • If using Defile, Blood Boil to spread Blood Plague. If the targets are short-lived, i.e. will not live for a majority of Blood Plague’s duration, do not use Blood Boil. • If using Necrotic Plague, it will naturally jump to targets within range each time that it ticks for damage. If there’s a large amount of enemies, Blood Boil can be used to instantly spread the plague to every target within range. • If using Necrotic Plague, use Death and Decay when it will deal a majority of its damage ticks. • Soul Reaper is removed from the rotation due to the strength of Howling Blast. • 2h Frost uses Unholy Presence once Reaper’s Harvest and T18 is acquired and Frost Presence otherwise. With tier bonuses and the class trinket, Haste becomes a much more valuable stat because it increases rune regen, which in turn increases the amount of Obliterates you can dish out. The value of the increased haste and more obliterates is slightly greater than the runic power generation and extra frost strikes. Not to mention the movement speed increase is quite valuable on encounters where there’s heavy boss movement. • 2h Frost should utilize Plague Leech with either Defile or Necrotic Plague for single target and AoE. Because runes are much more valuable with tier and the class trinket, NP is a better choice because it removes having to spend runes on Plague Strike and Defile. • For your main-hand runeforge use Rune of the Fallen Crusader. • 2h Frost uses Haste food, enchants, and gems for both ST and AoE. 2) Plague Leech when 2 runes are fully exhausted and/or diseases are about to expire or Outbreak is within 1 GCD of coming off cooldown. It’s important that this ability is used when 2 runes are fully exhausted or it will only generate 1 rune. If a rune is needed to consume a Killing Machine proc with Obliterate, PL should be used. 3) Save Runes or Blood Charge so that Soul Reaper is used off cooldown while in execute range (less than 35%). Because the bonus damage from SR is activated when the target reaches a health % threshold, you can time your spell cast so that the the bonus damage triggers just as the target reaches that threshold. In most cases, you’d use SR around 36-37%, but if the target does not have a lot of health and/or is being focused down, you can cast Soul Reaper earlier. 4) When using Defile, use it off cooldown when the target will take a majority of its ticks. 5) When using Breath of Sindragosa, pool at least 75 Runic Power before activating it. 6) Consume Rime procs before using Obliterate again as to not waste Howling Blast damage. 7) Pair your Killing Machine with Obliterate as much as possible but never let your runes cap or wait too long to use it. 8) Use Blood Charge to generate runes whenever charges are about to cap or they are needed to Obliterate. 9) Keep diseases active on the target by casting Outbreak or using Howling Blast and Plague Strike. If using Necrotic Plague, Plague Strike is removed from the rotation completely as Howling Blast easily maintains the dot. If you have GCDs to spare, Outbreak can be thrown into the rotation to add a stack to NP. 11) Use Plague Leech or Empower Rune Weapon when you have GCDs to fill and/or resources will not overcap. 12) Never use Army of the Dead when you are able to attack a target. Always use it 6 seconds before a boss is engaged or you have absolutely nothing to attack. • Plague Leech off cooldown. • Blood Boil to spread diseases when they are not active on a target. If the targets are short-lived, i.e. will not live for a majority of Blood Plague’s duration, do not use Blood Boil. • Howling Blast on Death and Frost runes. • Obliterate when Unholy runes cap. PB grants Frost Strikes the ability to extend the duration of Blood Plague and Frost Fever by 4 seconds or add a stack of Necrotic Plague. This talent is passive and thus requires no effort to use properly. The value of this talent is low because diseases are easily maintained with Rime procs and alternating Outbreak/Plague Strike applications. PL consumes active diseases and generates 2 fully exhausted Death runes in return. If two runes are not fully exhausted, only 1 rune will be generated. This talent is used as diseases are falling off or Outbreak is off cooldown. This talent does not work well with Necrotic Plague because it currently consumes all stacks of the disease. UB will spread Frost Fever and Blood Plague or add a stack of Necrotic Plague to all targets each second within 10 yards for 10 seconds . Necrotic Plague naturally gains 15 stacks in 30 seconds. While this talent is active, Necrotic Plague will stack to 15 within 10 seconds or 9 seconds when paired with an Outbreak application. This talent isn’t used for Frost in its current tuning. LB provides immunity to charms, fears, and sleep and increases Leech by 10% for 10 seconds. Leech is one of the new tertiary stats that returns a portion of your damage and healing done as healing to you. With 10% Leech, you will be healed by 10% of the damage you deal. This talent is useful when there are any of the mentioned loss of control abilities throughout an encounter. This talent is also useful for when you aren’t going to use AMZ and you do not foresee Purgatory proccing. AMZ reduces spell damage taken by 20% for each player standing in the bubble. This talent is useful when a majority of the raid is able to group up for a raid-wide spell damage ability. When you receive damage that would have killed you, your health stops at 1 hp and a debuff named Shroud of Purgatory will activate. The Shroud of Purgatory debuff is a healing absorption effect that lasts for 3 seconds and will prevent you from dying. The debuff gains healing absorption equal to the amount of fatal damage prevented and will kill you if it is not removed. The debuff is often removed with Death Pact and/or a Health potion. Otherwise, burst heals will be needed such as a Paladin’s Lay on Hands. DA increases passive movement speed by 10% and will prevent any movement-impairing effects from reducing you below 70% of normal movement speed. When activated, you gain 30% movement speed and cannot be slowed below 100% of normal movement speed for 6 seconds. In Warlords of Draenor, movement speed bonuses have been changed to be additive (e.g. 110% Passive Movement speed + Death’s Advance = 140% Movement Speed for 6 seconds). This talent grants Frost Fever or Necrotic Plague the ability to reduce movement speed by 50% for 10 seconds. Additionally it grants Chains of Ice the ability to immobilize for 3 seconds. This talent replaces Strangulate and will now stun for 5 seconds. Alternatively it functions as a silence if the target is immune to stuns. BT passively generates a stack of Blood Charges for every 15 Runic Power spent. The talent is usable when 5 or more Blood Charges are active. Blood Tap is off the global cooldown (GCD), which allows you to activate it while casting other abilities. Consuming 5 charges will activate a fully-depleted rune as a Death rune. The rune in which it activates depends on your current spec as well as which runes are currently fully exhausted. For Unholy it prefers a depleted Frost or Blood rune. For Blood it prefers depleted Blood runes. For Frost it prefers depleted Unholy runes. The randomness of rune activation can be controlled by allowing those prioritized runes to recharge. For example, you can let a Blood and Frost rune recharge, exhaust the Unholy rune, use Blood Tap, and it will activate an Unholy_Death rune. BT is the superior choice for this tier as you can pool and later utilize Blood Charges reactively to pair KM procs with Obliterate. If you are likely to overcap Blood Charges, Runic Corruption is the better choice. If you are using a macro to Blood Tap, Runic Corruption is the better choice as manual control of the talent is required to optimally use it. RE has a 1.5% chance per Runic Power spent to activate a random fully-depleted rune. This talent requires us to exhaust all our runes to get any benefit back from it. The other two talents allows us to hang onto our current runes. This is because RE only works on fully depleted runes (i.e. both sets of a specific rune have to be recharging in order for RE to proc it). Overall this talent isn’t as efficient and simulated results show RE below BT and RC. RC has a 1.5% chance per Runic Power spent to increase your rune regeneration rate by 100% for 3 seconds. The time that RC lasts scales with your current haste rating, decreasing the higher it is. This talent is quite easy to manage compared to BT as it is passive and requires no effort to use properly. 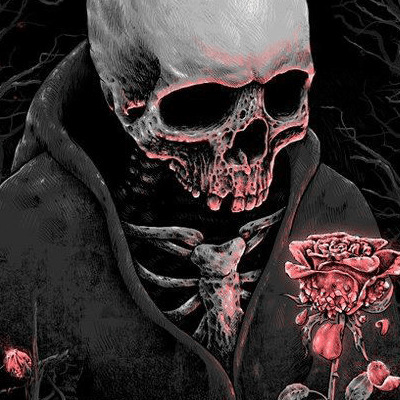 Death Pact heals for 50% of your max health and applies a debuff absorbing incoming healing equal to 25% of your max health for 15 seconds with a 2 minute cooldown. This is the correct talent choice for PvE as it does not consume any resources that would be better spent towards DPS. Use this talent if Purgatory procs or when you take a significant amount of damage. DSi deals shadowfrost damage and heals for a portion of the damage dealt. An average hit deals an insignificant amount of damage compared to our primary abilities. Conversion restores 2% of maximum health per second and costs 20 runic power per second until cancelled. The trade-off is too large for this talent to be as useful compared to Death Pact. Gorefiend’s Grasp is an AoE death grip that groups all enemies (4 player cap for PvP) within 20 yards on top of whomever you are targeting, hostile, friendly, or on self. This talent is useful when a group of targets are scattered and need to be cleaved or positioned elsewhere. Remorseless Winter grants a buff for 8 seconds that slows enemies within 8 yards every second. Each pulse reduces movement speed by 15% for 3 seconds and stacks up to 5 times, resulting in a 75% movement speed decrease. Any target that receives a fifth stack application will be stunned for 6 seconds. This talent is optimally used in a group stun rotation, lining up with the expiration of stuns provided from other classes. Desecrated Ground generates a stationary 8-yard radius ground effect for 10 seconds that provides immunity to roots, snares, and loss of control effects while standing in it. 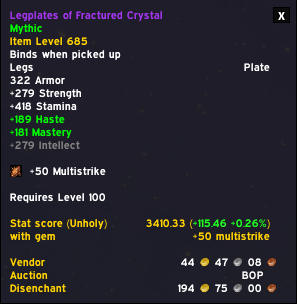 Using this ability instantly removes these effects much like a PvP trinket would. NP is a 30-second disease that replaces your normal diseases. The disease stacks to a maximum of 15, naturally receiving a stack every 2 seconds, increasing in damage for each one. The disease automatically jumps to any target within 8 yards of the infected target each time it deals damage and cannot exceed traveling past 30 yards from the original target. Using Blood Boil will spread the highest duration disease to all targets instantly. Howling Blast, Outbreak, Unholy Blight, and the Plaguebearer talent will build stacks of NP faster than it’s natural stack rate. UB will stack your Necrotic Plague to 15 within 10 seconds, Outbreak will apply 1 stack, and using Frost Strike with the Plaguebearer talent will add a stack. DeF replaces your Death and Decay, lasts for 10 seconds, ticks for Shadowfrost damage each second, and grows in radius and damage by 2.5% each second. BoS deals Shadowfrost damage every 1 second to enemies in a 12-yard frontal cone and inflicts them with Mark of Sindragosa for 6 seconds. This ability deals 50% reduced damage to all secondary targets. BoS drains 15 Runic Power per second until RP is exhausted or the ability is cancelled. Allows more frequent uses for Anti-Magic Shell if it does not fully absorb all magic damage. There are no downsides to this glyph and is strongly recommended. Extends the damaging and disease spread range of Blood Boil, pretty much mandatory for any encounter with movement or AoE. Makes our battle rez free of cost, avoiding having to pool Runic Power in the event that a brez is needed. Removes the taunt component of Death Grip. A must for all DPS as we rarely if ever want to taunt adds or a boss. Removes the taunt component of the ghouls summoned by this ability. A must for all DPS as it can cause some annoying situations with your tanks. Situationally used to mitigate unavoidable fall damage. Reduces the cooldown and allows for a more generous time during which it can copy an enemy’s abilities. Useful when Dark Simulacrum can be used to copy a high damage spell often. When short bursts of damage or stuns are taken often. When enemy dispels are needed and other classes are unable to. When there’s a need to shift to Blood Presence for damage mitigation often. Adds a snare component to DnD. Useful when slows are needed and you cannot spec into Chilblains. Primarily a PvP glyph but could be useful for DPS if struck by slows often. The DPS trade-off for this glyph is a loss. Increases the duration of AMS by 3 seconds; not particularly useful in PvE. Mostly useless because we have Death Pact to fulfill the purpose of a burst heal. We’re never compelled to consistently cast Chains of Ice to ever make this glyph worthwhile. There’s much better options to slow/root consistently than wasting runes/damage on CoI. As said above, we’re never compelled to consistently cast CoI to ever make this glyph worthwhile. It is not a gain to use Chains of Ice with Breath of Sindragosa. There’s never been a need for this glyph. You’ll always want to coordinate interrupt rotations in your raid. Having a 1 second shorter Mind Freeze cooldown isn’t going to make or break that. Never been used in PvE, more of a leveling or battleground glyph than anything. More of a PvP glyph. We’re never going to be using Death Coil defensively like this in PvE as we have healers. More of a leveling/battleground glyph. It’s much better to just move in range rather than using up a glyph slot for this. Does nothing, purely an aesthetic ability as a nod to the WotLK death knight. Not useful as we’d only ever want to cast Death Grip on mobs that aren’t immune to it. 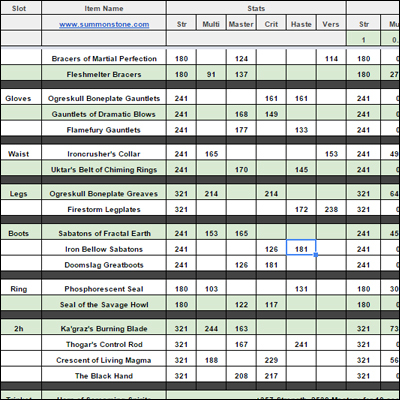 For more detailed weights and evaluation, check out my spreadsheet here. Increases attack power by 1 per point of strength. Attack Power increases your base DPS value by 1 for every 3.5 attack power. A majority of our abilities scale with attack power, dealing damage based on an attack power coefficient. AP coefficients are a ratio representing the rate at which attack power is converted to bonus damage. For example, an ability with an attack power coefficient of 20% would receive 1 bonus damage per 5 points of attack power. Frozen Heart increases the damage that all frost damage-dealing abilities do. Abilities effected are Howling Blast, Frost Strike, Frost Fever, Icy Touch, Soul Reaper, Breath of Sindragosa, Necrotic Plague, Defile, and Rune of Razorice. Currently, 2h Frost does not benefit much from Mastery because a great majority of its damage comes from Obliterate, which deals physical damage. On the other hand, DW Frost benefits greatly from Mastery because it primarily casts Howling Blast and Frost Strike instead of Obliterate. Increases the chance to critically hit with abilities and autoattacks. Everyone has a base 5% critical strike chance, and there are no longer different chances to critically strike with melee and ranged abilities. When an ability critically strikes, they will deal double damage as a baseline. Frost does not value critical strike as much as the other stats due to Killing Machine. Increases attack speed and rune regeneration rate. Increases all damage and healing done, and decreases all damage taken. Increases the chance that abilities have to hit a second and a third time, each dealing 30% of the initial damage. Some details from this section will be left out until Mythic progression is over. For all of these encounters as DW Frost, you will want to use Plague Leech with either Necrotic Plague or Defile depending on a few factors. Use Defile when you have acquired Empty Drinking Horn AND your Defile’s are consistently dealing a majority of its 10 ticks on your target(s). Otherwise, using Necrotic Plague is superior. For 2h Frost, Necrotic Plague is used for every encounter. You can Dark Simulacrum the Fel casters to copy either their Incinerate or Felfire Volley cast although it’s quite difficult to capture these spells as they are a high priority damage target. If using Defile, your placement and timing is all that is necessary; only use it when you feel that a majority of its ticks will damage something. Other than that, Howling Blast all the things, and AoE Grip the adds often! You can AMS+IBF soak his frontal cone attack Barrage for extra damage (I wouldn’t recommend doing this on Mythic) or you can wait and save AMS for his raid-wide AoE mechanic, Pounding. Additionally, you can intentionally stand in the Fel Fire to gather 3-4 stacks of Immolation and AMS soak those for extra damage. Throughout the fight, I also intentionally AMS + IBF soak the Blitz damage to mitigate the immense amount of movement when the Iron Reaver does this. Save AMS for Artillery if you are targeted throughout Reaver’s flying phase. Glyph of Runic Power triggers off of the fuel streaks he lays down in his air phase. Defile placement and timing is imperative on this encounter to maximize damage on the Grasping Hands. Preemptively drop it a second before they spawn, and spam Howling Blast until they are dead. You should save AMS for the Fel Outpouring (aka shadow globules) as they move in an erratic pattern, deal heavy damage, and are quite difficult to navigate through. You can save AMS to intentionally soak an Explosive Burst from the tank for more damage. Save AMS for Reap and try to stack your Reap pools on top of each other while absorbing that damage. Save AMS for the ghosts that spawn throughout the room. Make use of your Death Grips/Gorefiends to quickly handle the spawning adds and blood globules (i.e. get them away from the boss or blood pool). Save AMS for his raid-wide AoE, Death Throes. If you are assigned to be sent down, you can use an un-glyphed Army of the Dead while downstairs to save your healer some trouble. Use Death Grips/Gorefiend’s Grasp wisely while in his stomach to prevent the mobs from leaving. Chilblains is very useful here to slow the skeletons in the stomach phase, as well as outside when they’re fixated on a raid member. Utilize Death Grip on the Shadowcallers and Gorefiends on the ghosts to group them up in an AoE slow. Additionally, you can take up Chilblains to slow them but it’s not really necessary as ranged and the construct are easily able to take care of that. Glyph of Runic Power triggers off of the construct’s Felblaze Charge. AMS soak Wakes of Destruction to prevent them from hitting Fel Crystals. Use Gorefiend’s and Death Grips to group up the imp and other adds for quick AoE. You can AMS soak the orbs that the imps throw at your raid. Otherwise, save AMS for explosions, Fel Surge, or Overwhelming Chaos in the last phase. On the pull, you can use AMS and run around like crazy to soak up damage from the movement debuff for extra damage. Use Death Grip and Gorefiend’s Grasp to group up the Dread Infernals at the center of the boss (away from the raid). AMS soak Fel Hellstorms and Mannoroth’s Gaze. Get used to the Fel imp spawn timers throughout phase 2 so you can prepare your runes for howling blast spam. The one and only AddOn I feel that every Death Knight should use. I can’t imagine using anything else to easily visualize rune sets. In addition, it has proc reminders to warn you of abilities coming off cooldown such as Pillar or Gargoyle and a whole other slew of options to easily customize watching your resources. 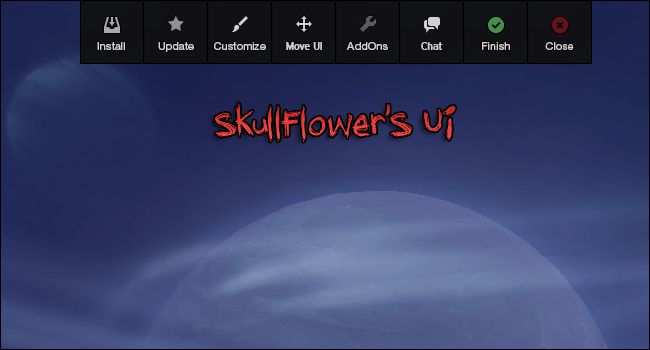 If you’re looking for a complete UI replacement with AddOn profiles and easy customizations, check my UI out. I use it for all my characters, including my Death Knight. It also has a profile for CompactRunes! This addon will show you dps values on item tooltips ingame based on the stat weight values that you’ve set. With this AddOn, you can do anything. Literally anything, provided you have some lua knowledge. If you don’t, well that’s not a problem! The options are pretty simple to follow and you can make notifiers for any buff/debuff imaginable. You can also customize it to warn you in different ways, such as through sounds, animations, text, etc. All of my weakauras can be found here. Using a mouse-over Howling Blast is quite useful while meleeing a target and AoEing a group of mobs that are out of range. Doing so will not interrupt your autoattack swing and saves a few split seconds of having to target a group before using Howling Blast. This prevents accidentally canceling the ability by pressing it more than once. This allows you to easily switch between Blood and Frost presence within one button. You could also create a macro to switch between Unholy for movement speed. Useful to quickly Battle Rez a raid member without having to target them first. Useful to quickly AoE grip to a target without having to target them. Useful to quickly grip to your position without having to target yourself. Useful to pair on-use trinkets like Scabbard with PoF together. Useful to cancel any immunities that prevent attacking without having to right click it in your auras frame. Useful to quickly grip targets without having to target them first.